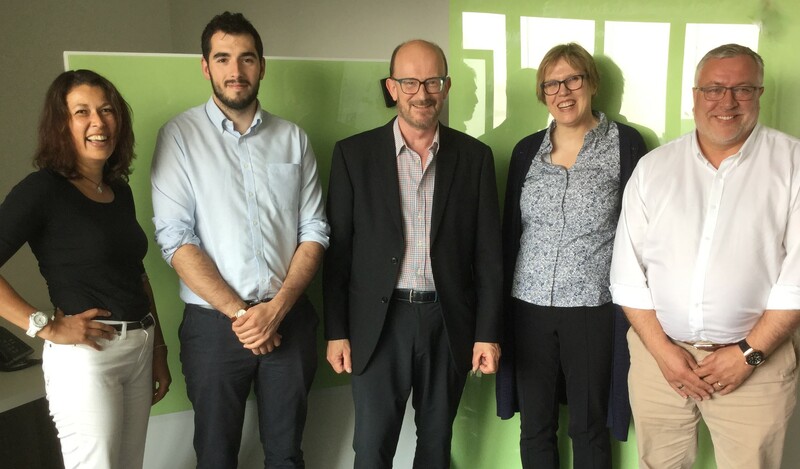 The FEMB Marketing Committee is being expanded with new members and they met in Paris on 8 June at the superb new offices of UNIFA. The discussions covered the communications strategy for the Federation which will be developed by the committee members. Pictured are Celine Chaverot, Digital Marketing and Communications Director for Majencia Group (France), Sam Prosser, Marketing Manager at the BCFA (UK), Colin Watson, Secretary General, Barbara Schwaibold, Marketing Manager at BSO (Germany) and Andrew Schofield, Group Sales and Marketing Director, Camira Fabrics (UK). CIFF 2016 Review. China International Furniture Fair.